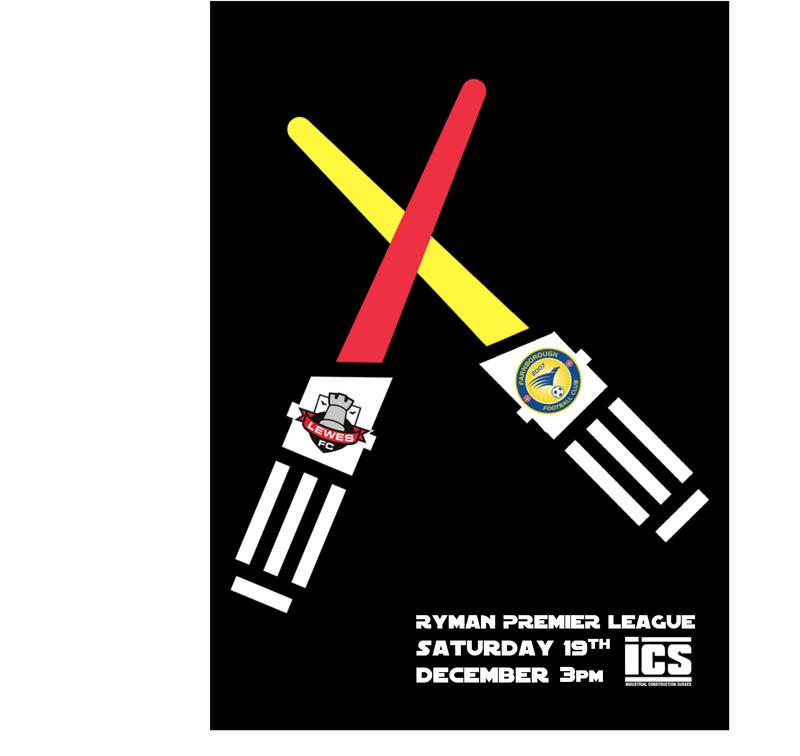 Just down the road, 2 1/2 hours before Lewes kick off in their game against Farnborough, The Football League Championship’s two clubs go head to head. Brighton & Hove Albion are the last remaining unbeaten team in the top 10 divisions of English football, a remarkable turnaround from last season where they avoided relegation in the last few weeks of a season characterised by dull, scoreless football. Back in the Summer, Chris Hughton brought his first team squad down the A27 and could count themselves lucky to go back with a 0-0 draw. Confidence was high from the Lewes camp, whilst the draw against a team five divisions lower hardly increased the membership of the Hughton Appreciation Society. Six months on and the situation could hardly be more different. Hughton is being hailed a messiah by the North Stand faithful whilst Lewes are still looking for their first home win and are looking up the skirts of every other team in the Ryman Premier League. We could spend hours debating why, but it is more important to touch on what the future holds in my opinion. In the last few days I’ve read a couple of interesting pieces about the finances of The Seagulls. The superb Swiss Ramble analysed the numbers in detail on his website last week, There can be no denying the investment by owner Tony Bloom in the club, both on and off the pitch, and for the sake of their loyal fans I hope they do reach the promised land of the Premier League, not only because they deserve a crack at it, but to also give Bloom some financial return on his huge investment. Footballing history has given us plenty of examples as to where the single investor model turns sour at some point, and whilst Brighton fans may say “It’ll never happen to us with our Tony around”, I’m sure that is what Bolton Wanderers fans said when Big Phil was splashing the cash for Big Sam at the Reebok. But what about Lewes? We don’t have the ownership model that means we are indebted to one person. However, we are bottom of the league. In such situations managers tend to grab at any straw going. How often will you see them bring in a raft of new players to try to solve an issue, normally expelling a fair few out the back door. It is very rare that the financial situation in such cases ends up with the club making a profit on the dealings or paying less wages. We all deep down know that, unfortunately, Chelsea will not get relegated this year. Whoever comes in in the short-term will be given some patience and will make small changes that turn defeats into draws, and draws into wins. Before you know it they will be knocking on the door of the top seven. Why? Because in most instances, teams do not become bad teams overnight or even over a pre-season. If you can keep the same core of players then with small adjustments they will become better gradually. This is the theory of marginal gains. The concept is that if you improve in every variable underpinning or influencing your performance by just 100% then cumulatively you get a significant performance improvement. The Performance Director of British Cycling, Dave Brailsford is often quoted as the biggest proponent of the theory, but it was actually Sir Clive Woodward to first openly admitted to using the concept in the preparation for the 2003 Rugby World Cup in Australia, that England would ultimately win. “Winning the World Cup was not about doing one thing 100% better, but by doing 100 things 1% better” he said post tournament. 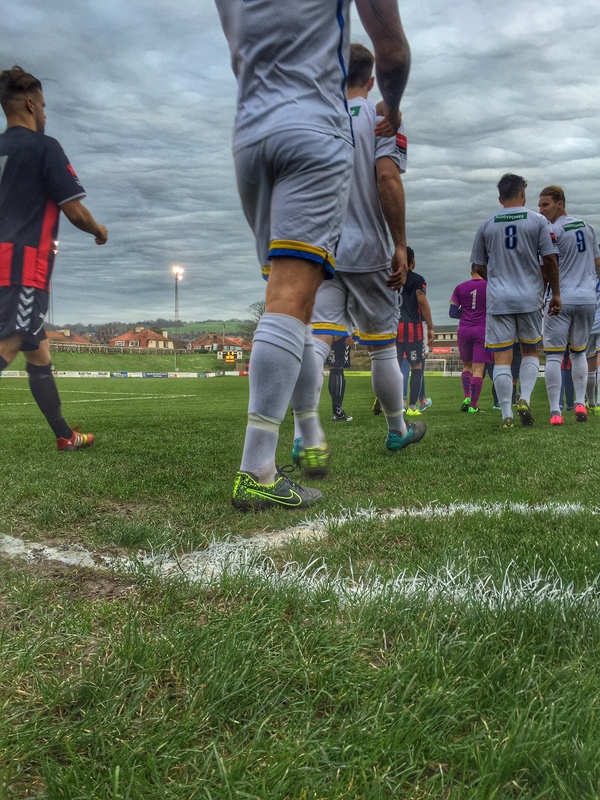 So what does that actually mean for a grass-roots club like Lewes? It means working with the management team to make sure when the team step onto the pitch they are 100% prepared. Kit may seem a small issue, but for one player having a pair of shorts that aren’t too tight could be that 1%. Energy drinks – another 1%. Ensuring the showers are hot – 1% and so on. That’s obviously not going to be the reason why Chelsea improve but their 1% gains may come from preparation patterns, pre-match meals, warm up routines as well as personnel changes. Lewes manager Darren Freeman has been used to winning both as a player and a manager. He has a formula as to the type of player that he wants to see pull on the red and black shirt each week. Coming into the club where it was already in the bottom four and three months into the season, his marginal gains are a lot tougher to deliver. But that doesn’t stop him trying. There’s not going to be one single event that can turn the current situation into a rosier one – unless half a dozen teams all play ineligible players for 5 or 6 games in which they win and get 15 point deductions. So the club has to look at improving marginally, and more importantly, within budget, in a multitude of areas. Obviously, players will come and go such as this week where a new winger and a new centre-forward have come in, replacing an existing proven scorer. Unusually, the net effect of the transfer dealings is financially positive. Two for the price of one – a marginal gain in terms of squad numbers. Fans obviously play a part as well. 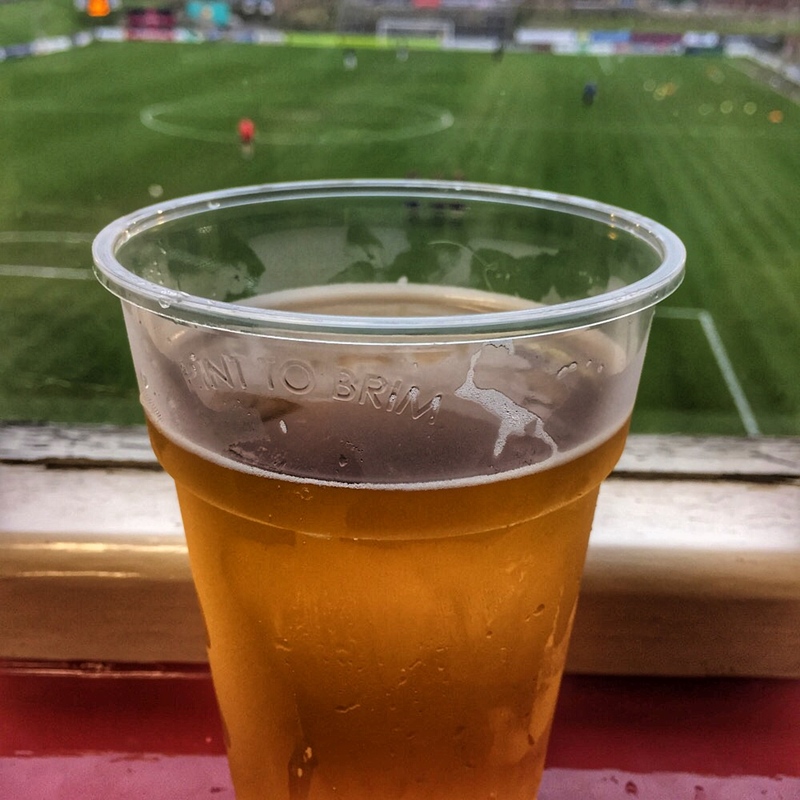 Any Brighton & Hove Albion supporters heading back to Lewes that could be enticed in, irrespective of the price they pay should lead to a marginal financial gain. The cost of admitting one extra fan is essentially zero. There is a stewarding cost, but you can only set that prior to the game based on what you think the crowd would be. If an additional 1,000 fans turned up today it would cost the club nothing extra but we would gain from whatever they pay through the turnstile and then food/drink/merchandise and so on. That revenue would then boost the budget which would then be re-invested in different aspects of the club and thus delivering that marginal gain. It’s fair to say that the biggest marginal gain from today’s game though would be three points. In fact, anything less than three points would be a significant blow to the club. Farnborough’s off the field problems are well documented, falling from being just one game away from the Conference Premier four years ago to facing expulsion from the league. We’ve been there and know how the fans pain feels, knowing that their fate is often out of their hands. But for today it would be all about the Lewes win. Still without a home win this season, Lewes could at least look to Farnborough’s away record of drawn one, lost ten as a positive omen. The marginal gains philosophy and approach is hardly rocket science. It’s a simple idea, but with many simple ideas, takes some energy, commitment and discipline to see the positive results. Alas those three words are often lost on fans who want immediate results. As a club we have to balance both. It has only taken 269 days but finally we have a home win to celebrate. 25th March was the last time we really got to dance a silly jog of delight on the Philcox at the full-time whistle but yesterday we got that winning feeling again. In terms of marginal gains the result was huge. We got 3 points, 3 more than the six teams above us. In the grand scheme of things it makes little difference to the table or the threat of relegation, but we came out of the day the winner at the bottom end. Farnborough were poor. They lined up with a 5-3-2, failed to get one shot on goal, picked up five bookings and the only threat they posed was when Estonian striker Vastsuk threw himself to the ground in the penalty area and picked up a caution – interesting that we normally only see antics like that from players with league experience, and Vastsuk is no different, on loan from Reading. Good to see the professional game teaching players the importance of ethics. Lewes were good. They started strongly and could have had a couple of goals (and at least one penalty) before Phil Appiah’s 25 yard blockbuster on the stroke of half-time put The Rooks in the lead. By then the curse of the new striker had struck as George Landais limped off on his debut. His replacement Trevor McCreadie was denied a penalty in the second half by yet another poor performance by the officials, being tripped in exactly the same spot as last week in the area. OK, it wasn’t a vintage performance, probably not as convincing as last week’s draw against Leiston BUT you could see the 1%’s. Winger Junior Ogedi-Uzokwe beat his man more frequently, the two centre-backs blocked more shots on the edge of the area, James Fraser looked a little more match fit. Marginal gains. So we danced all night to the best feeling ever. Three points can make or break your weekend. Hopefully the couple of dozen Brighton fans who decided to stick around after their painful first defeat of the season will have enjoyed a pint of Harvey’s, a slice of Christmas Pie and a goal worthy to win any game. This entry was posted in Lewes FC, Non league football, Rymans Premier and tagged Brighton & Hove Albion, Economic Theory, Farnborough, Finances, Lewes, Ryman Premier League. Bookmark the permalink.